Unique pedicure tool is fun and functional! 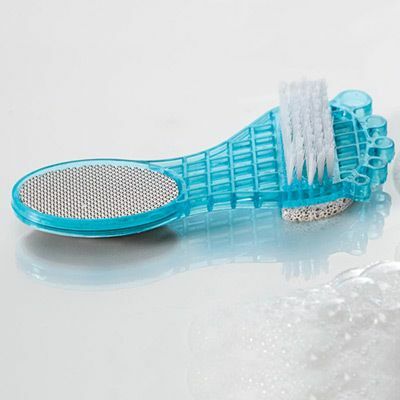 This multi-purpose tool has it all....a brush to clean, pumice stone to scrub, a file and buff pad. Great results without a trip to the salon! Durable plastic and stainless steel. 6½"l.